ex- Aghios Nicolaos, ex- Sophia Costala, ex-Centavros, ex- Centauro, built 1884, 792 gross tons, steamer. Also named Orion. Group from Bratislava came down the Danube, holding a collective Paraguayan visa. 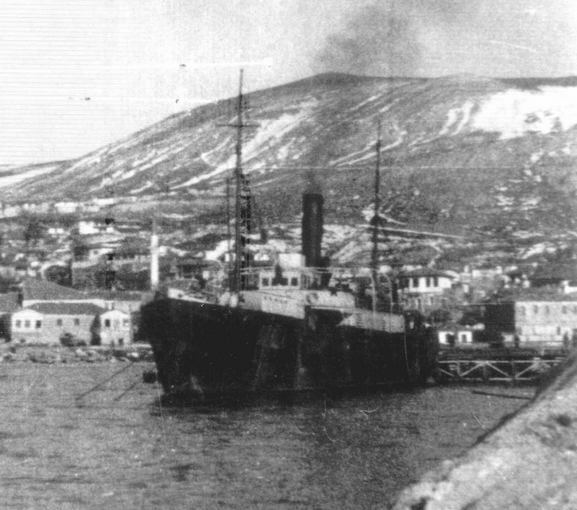 The ship was supposed to pick up the Kladovo group (No.54), icebound. Hilda took on the refugees at Sulina, but departure was delayed for over a month because of difficulties getting a crew, and then the ship was damaged in a storm. Interned at Atlit.